Welcome to Lakeside Holiday Apartments Merimbula. We would like to extend a personal invitation to you and your family to come and stay with us in beautiful Merimbula. At Lakeside Holiday Apartments Merimbula, quality accommodation and friendly service are our highest priority. 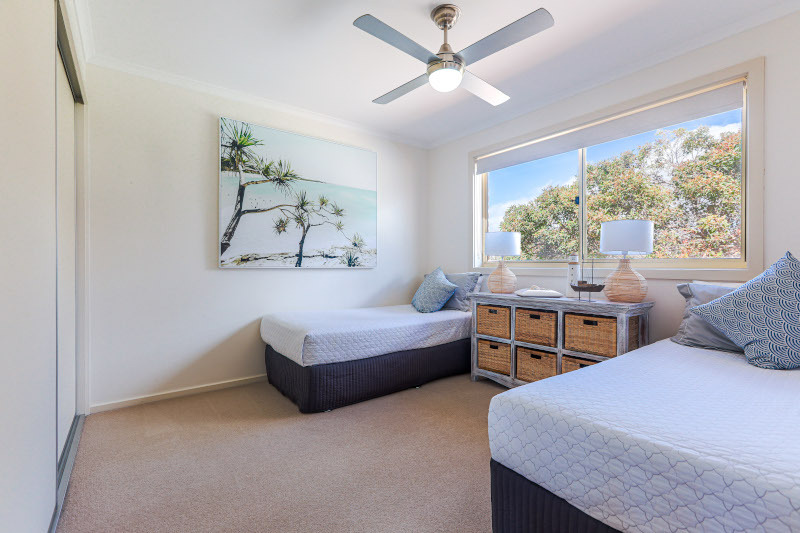 Our fully self-contained studio apartment and 2 bedroom apartments are located on Merimbula's Fishpen peninsular offering a sunny northerly aspect right on the water's edge. Sundrenched gardens provide a relaxing haven and our facilties include a large solar-heated pool, BBQ facilities and tennis court. Our canoe and sporting equipment are yours to use and enjoy. Apartments are spacious, immaculately presented and comfortably furnished. Each apartment has a complete kitchen, private laundry, FREE WI-FI, Foxtel and DVD player. Off street parking is provided. Of course, all the usual creature comforts are included: linen and towels for the main bedroom (single linen available for hire or you can bring your own), hairdryer, iron, microwave, dishwasher, alarm clock, extra pillows and blankets. Watch the tide slip by as you enjoy being lakeside, or follow the pelicans to the beach, just moments from your door. Please have a look around our web site and if you have any questions, feel free to contact us.We look forward to welcoming you soon. Our studio Apartment is comfortably furnished and fully self-contained. This studio provides the perfect haven for couples or the single traveller. 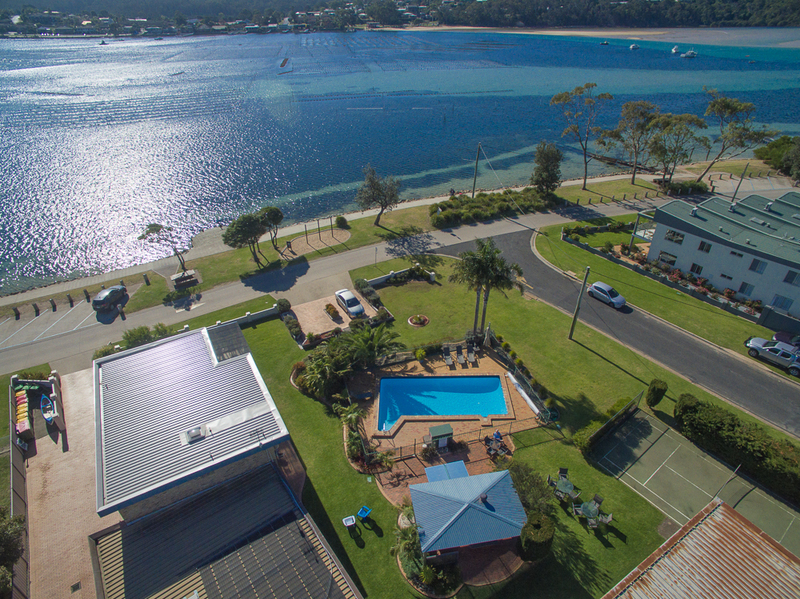 Enjoy an absolute water front location for that perfect Merimbula holiday. Ground floor units have sliding door access to the beautiful, sun-drenched grounds of Lakeside with a small patio setting for you to enjoy your morning coffee. The upper floor units boast enclosed balconies where a complete view of Merimbula Lake can be enjoyed. Copyright © 2017 Lakeside Holiday Apartments. All Rights Reserved.